Happy Ognisanti day ... To-day November 1th ... 2011. Look the number 11/01/2011 ... 11+1+2+11=25, 2+5=7. 7 is the number of Revelation ... but we need some footsteps until 2014. A Saint is a Master. Who is a Master in this Our World? ... Let me say no one. Not a King, not a Prince ... not a Governor ... not a Pope. Nay! If you go to ask me ... Was Jesus a Master? ... I say 'Oh Yes!' ... Was Osiris a Master? ... 'Oh Yes' and he was then Thoth always in Egypt. The myth that only Jesus, our beloved King may reach the Christhood is nothing but a myth. What is a Master? ... A definition is necessary and pertinent. This sacred book ... includes a definition of what a Master is ... and important teachings about Lord Jesus, Osiris and Moses. 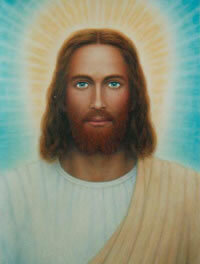 In studying the ancient writings I have found that the teachings of Osiris and Jesus are wonderfully alike. Many passages being identically the same, word for word and line for line. This is not to be wondered at; they were both preaching and teaching the first and Inspired Religion of Man, which they both learned from the same school: The Sacred Inspired Writings of Mu. "Osiris was born in Atlantis 22,000 years ago (according to reckoning of time). When a young man he went to the Motherland to study for the Priesthood. When he became a Master he returned to Atlantis. There he devoted himself to eliminating the extravagances, superstitions, misconceptions and inventions that had crept into the Atlantean Religion. He then installed again the original religion of love and simplicity. He was then made the High Priest of Atlantis, a position which he held during a long life. When he passed on the Religion was called after him The Osirian Religion." This religion was carried to Egypt by Thoth and became the Egyptian religion. 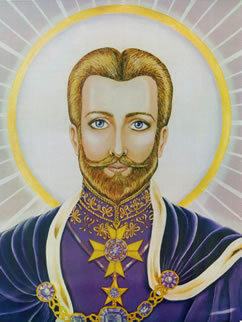 and Saint Germain is a Master ... and ascend like Lord Jesus ... more than once. He explains that many persons 'repeat' the Jesus miracles ... Of course if someone walks on the sea, multiply the loaves and the fishes ... heal persons and resurrect from death ... is a Master. But ... But What is a Master? There is a widespread legend which has been handed down for many thousands of years which is called The Golden Age. This is said to have been some period in human history when the mass of mankind showed more intelligence than now. This evening I am going to give you some of the translations from Books written during this Golden Age. These show that those who lived then were absolutely superior to us in sciences; and, although our scientists scoff at such an idea, and declare the whole thing mythical, the truth and facts remain. As the Phoenix is pictured rising above the flames of fire: so these cosmic truths will rise above the scoffing ignorants of today. I do not know on what definite lines your Society is working, or how far you have advanced. It is quite questionable whether I know enough about the subject to be of any value to you. All I can do for you is to repeat certain conversations that took place many years ago between a very learned rishi priest and myself. This priest was a great Master, the most proficient Master that has lived since the time of Jesus. Master: Many do not know the actual meaning of Master. In olden times this title was bestowed on those who had Mastered the Cosmic Sciences and learnt how to control the Cosmic Forces, and had brought his material body under the absolute control of his inner self. This old Master and his two cousins, both older than himself, and he was over 70 years of age 50 years ago, were the sole survivors of the Naacal Brotherhood which had existed for 70,000 years. This Brotherhood had been formed in the Motherland, when experts of religion and the Cosmic Sciences were being sent from Mu to her various colonies. These three were the only ones left in India who understood the language of the Motherland, her symbols, alphabet and forms of writing. For seven years during all my available time, I diligently studied under this old rishi, learning the language of Mu, her symbols, alphabet and writings, with a view of finding out something about ancient man. At that time I had no idea of publishing my findings. I made the study purely to satisfy my curious self. I was the only one to whom this old rishi ever gave instructions on this subject. During our many lessons he often touched on the psychic. These conversations and translations from the Books of the Golden Age, which are the Sacred Inspired Writings of Mu, are what I propose to bring to your notice this evening. Whether they are in line with your studies I do not know; but, if not, they are of a character that will, at least, give you new lines of thought. On one occasion he told me that there were some written records about Jesus in certain Himalayan monasteries, and gave me such letters of introduction to the heads of these monasteries, that on application I experienced no difficulty in obtaining a sight of these precious documents. In one monastery I found without question the original documents. These documents are written in Pali on Olas and bound into Patikas. Pali is a dead language corresponding with our Latin. Olas is the leaf of the Palmyra Palm, prepared for writing. Patika is a series of these leaves, with holes, sometimes two, sometimes three, punched through them. They are then strung upon strings with the ends of the strings fastened to a pair of boards, which form the cover or binding. In other monasteries I also found records; all of them, however, were evidently copies of those I have mentioned. In the great Hemis monastery at Ley in Kashmir there are copies written in a jumble of Pali and Tibetan. I mention this institution because anyone using the right sort of persuasion can see all and everything there is in this monastery. I did not see an original document in the place: there may be some there, they declared, however, I had been shown everything they had. On certain subjects, I have found that these old Himalayan monks have very little respect for the truth. In the Biblical records of Jesus there is a gap of many years. In monasteries and lamaseries in the Himalayas and Tibet there are records (without question copies) telling how Jesus spent these mysterious years. There are also many oriental legends about him. One written record states that: "When Jesus was a young man he left his home country and first went to Egypt. There for two years he studied the ancient Egyptian Osirian religion. From Egypt he went to India and at Benares and other religious centers studied the teachings of Gautama [Buddha]. He then entered a Himalayan monastery where for 12 years he studied the Sacred Inspired Writings of Mu and her Cosmic Forces and Sciences. At the end of 12 years he became a Master: the most proficient Master that has ever been on earth. "His name in this monastery is more revered today than by any sect of Christian Priesthood, and simply because these Himalayan monks know him better. "When Jesus was about to leave the monastery to return to his own land, a controversy arose between him and the Masters on the subject of reincarnation. Jesus maintained that The Sacred Inspired Writings of the Motherland stated that it was not the material body of Man that was reincarnated out of the original atoms that formed his body, but the Soul or Spirit only that was reincarnated. The Masters maintained that it was both the Soul and the original atoms forming the previous body that were reincarnated—born over again and not a fresh combination of elementary atoms." Through the great courtesy of the head of the monastery, and, as a special favor and great honor, I was allowed to see and read the tablets over which the controversy had taken place. I deciphered and translated three, all that was necessary. The first (A) over which the controversy took place reads, "The Material body returns to mother earth from whence it came. The elements are then used by Nature for other bodies." The Masters insisted that "other bodies" meant the subsequent bodies of the man. So the question hinged on the meaning of "other bodies." Did it mean the subsequent bodies of the reincarnated man or other bodies of Nature's making? "It is The Man—The Spirit—which comes into being again. Imperishable man is a— Divine Spark—around which a house, or an encasing body is built composed of elements brought together and joined in the Ziis of Life Force. After the usual period, or cycle, this compound of elements wears out and returns to mother earth. And so it continues on— the Divine Spark occupying one house after another until its appointed time has come. Then it has to return whence it came—to the Divine Source." These translations are from the Sacred Inspired Writings of Mu—The Books of the Golden Age—and in the Section on Reincarnation which were brought from Mu by the Naacals. Therefore to be a Master ... You need One. And where is the Master ... Lord Jesus say? ... He say, 'Master is inside'. You need advisers ... Angels, Elohim and Ascended Masters (Saints) ... in the Path to Ascension ... in the Path to join the Brotherhood of the Heavens ... in the path of Magic Alchemy. In olden times this title was bestowed on those who had Mastered the Cosmic Sciences and learnt how to control the Cosmic Forces, and had brought his material body under the absolute control of his inner self. A Master is someone who ... have a 'Spiritual Alliance' with the Heavens ... and is not alone. A Master hath conquered the Matter ... and he can choose to move up or down between dimensions ... to help or to live when he deserve. Saint Germain by example ... have multiply his soul and 'visit' ... spaces in times ... in the Century XVII, XVIII at the same time on planet Earth and still other planets. He ... dwells on planet IA on the Sirus Star ... with others like Kuthumi (Saint Francis), Maitreya the Father of Jesus (Twin Brother) ... Mother Mary and others. May the Love of the Holy Spirit ... bless you this month, to-day, to-morrow and everyday. PS. I want to add some other explanations that are related in the Bible ... but few knows. It regards the story of Moses and the Serpents before the Pharaoh. "My son, it is strange how little your people, understand their own Bible. Take for instance the legend which relates how Moses' serpent swallowed up the serpents of the Priests before Pharaoh. This is regarded as a miracle, whereas both Moses and the Priests were only practicing one of the ancient sciences. You will better understand it if I call it mass hypnotism. "Moses had the power of raising his inner vibrations higher than those of the Priests so could bring their brains under the control of his own. The Priests had their vibrations raised to a point where they had the audience under control, and then they cast their staffs on the ground concentrating on the vision of their transformation into serpents. Consequently, the people saw them as serpents. But Moses raised his vibrations to a higher pitch, gaining control both of priests and people, and was thus able to cast his own staff to the ground and make them all see it turn into a serpent and swallow up the other serpents. But you, my son, never see clearly without a practical demonstration, so I must give you one. Give me your hand, so that your vibrations are attuned to mine. This will prevent your coming under the influence I am about to send forth." About 50 feet away two coolies were sweeping up the Temple compound and just beyond were some dead branches which had fallen from a tree during the night. The rishi smilingly said: "Watch them drop those as soon as they touch them." Then the coolies came to those branches and started to pick them up, they dropped them, shouting, "Snakes! Snakes! Poison snakes!" They then ran off and brought back two long bamboos, and began thrashing the branches for dear life; after a moment the rishi lowered his vibrations. The coolies stopped their exertions and looked dumbfounded. The rishi called them over and asked them: "What have you been drinking?" "Arak," they said. "But we only took two drinks, Master!" The rishi shook his head reprovingly; with profound salaams they returned to their work, declaring loudly that "never again would they ever take more than one drink of Arak at a time." Thus, as an object for me, was enacted the scene of Moses, the Egyptian Priests, and the serpents. The rishi then told me that in ancient times, when India was divided into small kingdoms constantly at war with one another, mass hypnotism was used by the Priesthood to protect their temples and colleges. When a city had been taken by the enemy and was being burned and sacked by the soldiers, the Priests would assemble on the Temple steps, and as the plunderers approached, would cast a spell over them, sending demons to frighten them off. These, legend says, often took the form of huge serpents. One serpent in particular was very effective; of immense length and thickness, hissing and spitting fire it would move towards the soldiers. At the sight of him the bravest of the soldiers dropped their plunder and fled. The rishi smilingly said, "I should not wonder if it was something of this sort that sent the soldiers of Alexander the Great back from India to their own country."